In the Victorville and Oak Hills area, Murphy Construction is available to meet a wide range of client needs from top to bottom. Speaking of bottom, Murphy Construction is the best construction contractor to provide top quality expertise and stellar project management for ensuring foundations are installed properly. Foundations are vital to a building’s stability. Foundations connect a building’s walls to the ground and transfer the crushing force of load bearing supports to the ground. This is a tremendously strong energy especially for buildings constructed of heavier materials. It is paramount that the general contractor who prepares a building’s foundation or repairs it understands all factors of foundation fundamentals for client safety. Foundations come in two flavors, shallow and deep. 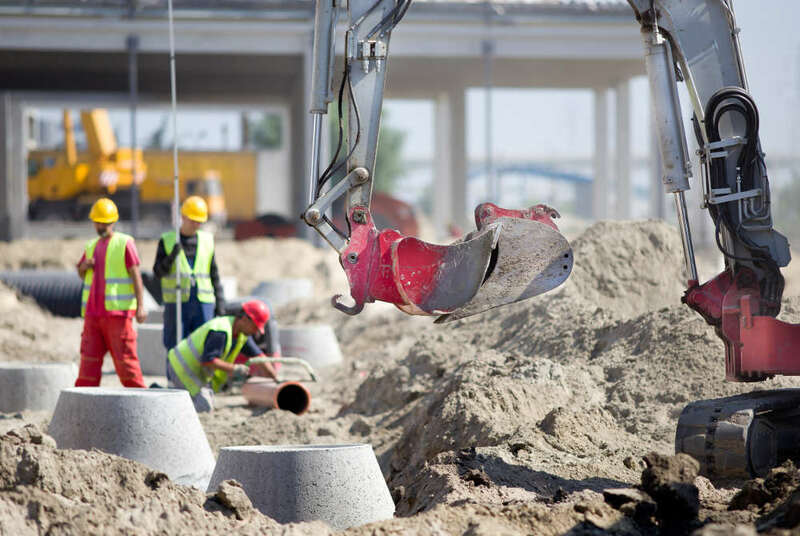 Deep foundations are most often used for supporting commercial buildings especially tall ones such as skyscrapers or those huge apartment buildings or hotels and offices. Shallow foundations are more typically associated with smaller buildings like houses and such. Geotechnical engineering is a fascinating subject which encompasses both soil and rock mechanics. Most contractors just dig out an area, install wooden borders to contain the cement and then pour the mixture and cure it. Murphy Construction does so much more. Murphy Construction’s professionals understand the importance of testing the rock and soil of new build locations to determine if soil compacting is necessary and if any other steps need to be taken to stabilize the build site. It’s not only earthquakes that Murphy Construction is prepared to combat to maintain a client’s safety of domicile or workplace. Building a foundation properly is a key component for allowing a building to survive crushing elemental forces and the onslaught of time. Time will erode poorly installed foundations creating cracks in walls which destabilize load bearing structures and potentially allows mold to settle in. In considering a team for a project, know that one of the details pertinent to proper building techniques includes proper testing procedures and foundation preparation. Murphy’s Construction can work with existing construction management teams to help build large-scale projects or can manage those same projects with diligent managers and crews. Murphy Construction will meet the construction needs of Victorville and Oak Hills residents located in the High Desert area of Southern California. For new builds in residential or commercial areas, additions or maintenance to existing buildings and structures, Murphy’s Construction is the best choice for both safety and aesthetics.